Many cases of bankruptcies of companies that applied low tariffs for mandatory types of insurance, in particular, mandatory insurance of civil liability of vehicle owners (OSAGO), resulted in losses of UAH 316 million only in 2017. They are evidence of the necessity of reviewing license conditions for these companies, introducing additional requirements to their solvency in line with the EU standards, the National Bank of Ukraine (NBU) has said. 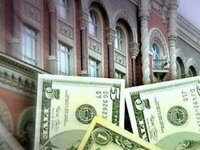 "If the state by its decision obliges citizens to insure, it creates the liability to ensure the high quality of market regulation, absence of abuse on it and reliable protection of the interests of policy holders," the head of the NBU's financial sector reform department, Yevhen Stepaniuk, said at a roundtable. In his opinion, expressed during the discussion of the Green Book entitled "The Analysis of the Regulation of the Mandatory Insurance in Ukraine" prepared by the BRDO office, this will ensure sustainable development of the market, the transition to free tariff formation and fair competition. Stepaniuk reminded that the current law on insurance is only three years younger than the decree on currency regulation and control, which this year lost its force in connection with the adoption of the law on currency and foreign exchange operations. "Our common task today is to update both the basic insurance legislation and to review normative and legal acts, as some of which no longer correspond to the current legislation or are irrelevant," Stepaniuk said. He also said that the NBU is actively working to prepare the future transition to a consolidated model of financial sector supervision, which meets the modern global trends and the interests of the final consumers of financial services as closer as possible.